Topsoil is the uppermost layer of soil, which is high in nutrients and organic matter. It’s dark in colour and very high in organic matter, which makes it very easy to fertilize the ground plants. It is scraped from the ground and sold in bags or bulk. How Can I Use Topsoil? Many gardens have poor soil, especially new-build homes, where the natural topsoil in the garden has been stripped away during the construction process. Topsoil is perfect for covering the garden, to create new beds, borders or to provide a base for laying down turf or sowing grass seed. It’s also a great choice for in paved gardens where there is no access to soil, as topsoil can be used in raised beds for growing new plants and vegetables. If you are looking to fill a raised bed or add a new flower bed to your garden, topsoil is a perfect choice. You will need to measure the area’s square footage to calculate the cubic feet. To fill a garden bed, you’ll need around 8 inches of depth of topsoil. If you’re looking to cover a garden to make way for a new lawn, it’s best to spread a layer of around 3-6 inches of topsoil before you start planting. MYTH 1: All topsoil is the same. Topsoil can differ dramatically, even in the same garden and from one flower bed to another. It’s basically made up of sand, silt and clay, and as you move around the garden, the proportions of these will vary. This topsoil will also include decomposed plant matter, which is where the plants will get their nutrients from. A variety of good and bad insects will also work their way around the topsoil, such as earthworms, but it’s important to keep in mind that all this will vary from garden to garden. MYTH 2: If my soil is rich, I don’t have the fertilise. Garden plants will draw the nutrients they need from the soil. Though, as they use those nutrients, they need to be replenished for healthy garden plant growth. This is especially true for annual flowers and vegetables. Luckily, it’s very easy to inexpensive to fertilise gardens with either granular or liquid products. MYTH 3: I can use soil from my garden for a new garden bed. You can, but in most cases, you probably shouldn’t. Soil will include varying amounts of organic matter. This organic matter is the component that gives topsoil, good drainage and it’s other good qualities. Though, the soil around homes does not nearly as much organic matter, which is why gardeners often buy topsoil to add to their garden. You can also add to the soil by using compost, but this takes a lot more work. MYTH 4: If I have good topsoil, I won’t have to till it. 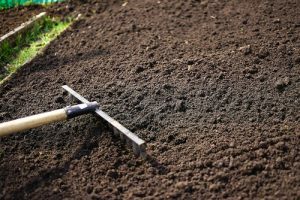 Soil can eventually become very compacted, and it can be a good idea to till it whenever you get ready to plant annual flowers and vegetables. Even better, you can add around 1-2 inches of compost while you’re tilling to keep the soil as rich and loose as possible. 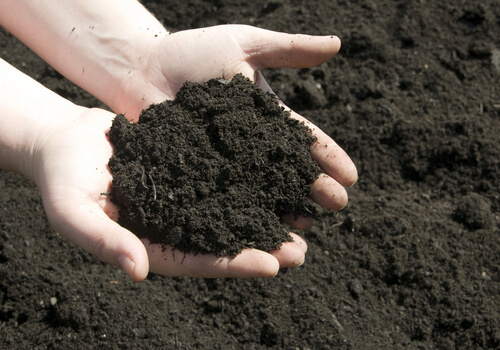 Here at Sansums, we have been supplying high-quality topsoil since 1972. We’re proud to have developed a strong reputation and relationship with our happy customers. If you’re looking to update your whole garden, remember we don’t just stock topsoil, we also supply decorative gravel, building aggregates and fencing. So, whether you just need building supplies or need some advice on how to properly use your topsoil, please feel free to get in touch today. Our experienced staff can help you and give you the information you need to get the job done. Either call us on 01793 536784 or contact us via our enquiry form on our website.